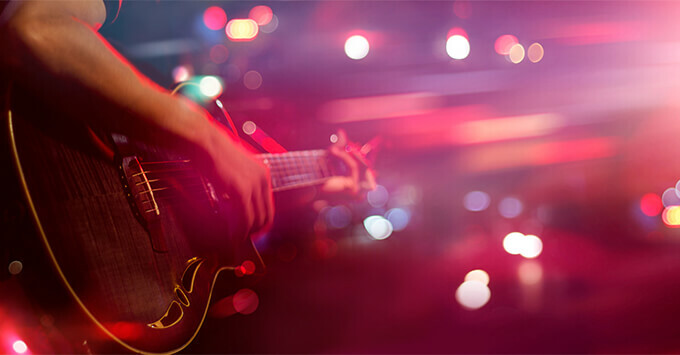 (11:45 a.m. EDT) -- Holland America Line continues to show its commitment to live music at sea with the announcement of its latest venue, Rolling Stone Rock Room. At a livestreamed event in Seattle this morning, Orlando Ashford, president and CEO of Holland America Line, spoke about the new partnership. "We are so excited to tap into Rolling Stone's incredible expertise to create a new live entertainment venue that will appeal to all our guests," said Ashford. "Innovative and authentic music experiences are at the heart of all our entertainment offerings and is what distinguishes us in the industry. Classic rock appeals to people across generations because the music is universal, and Rolling Stone Rock Room will bring another incredible live music venue to our ships." The rock 'n' roll-style space joins the Music Walk lineup of Lincoln Center Stage, B.B. King's Blues Club and Billboard Onboard onboard the line's Pinnacle-class ships. The Music Walk concept first debuted aboard Koningsdam in 2016, but individual venues have rolled out to other ships over the past two years. The space will feature a live band playing the greatest hits from four decades of classic rock. It will also feature its own themed drink menu. 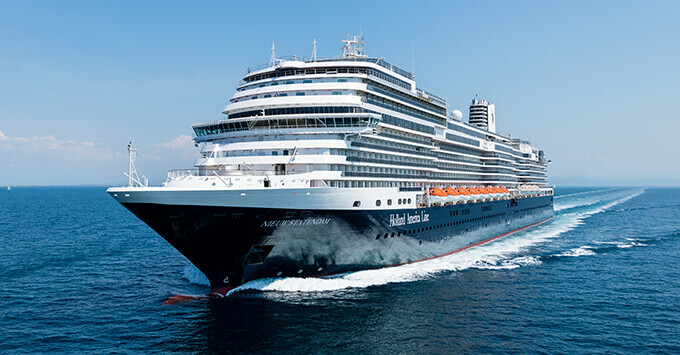 The Rolling Stone Rock Room will make its debut aboard Holland America's upcoming cruise ship Nieuw Statendam in December when it launches and will be added to Koningsdam's Music Walk that same month. A signature of both ships in Holland America's Pinnacle Class is their ties to music. Both Koningsdam and Nieuw Statendam feature "interiors inspired by the fluid curves of musical instruments," according to the line. After its debut on the Pinnacle-class ships, Holland America plans to explore how to expand the Rolling Stone venue to Signature- and Vista-class ships.